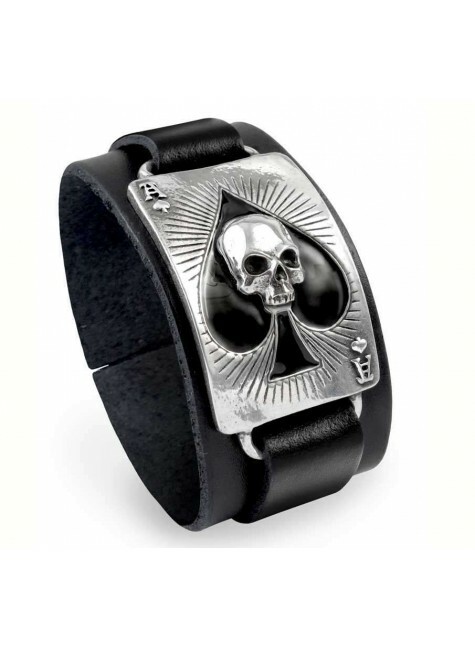 Beautiful in fine pewter, this Ace of Death Spades bracelet is mounted on fine Italian leather. The ace of spades is an evocative image on its own referring to the time of death or destruction when used in divination. The skull in the center adds to this mystical image and the larger size of this bracelet makes it perfect for men or any time you want a statement bracelet. 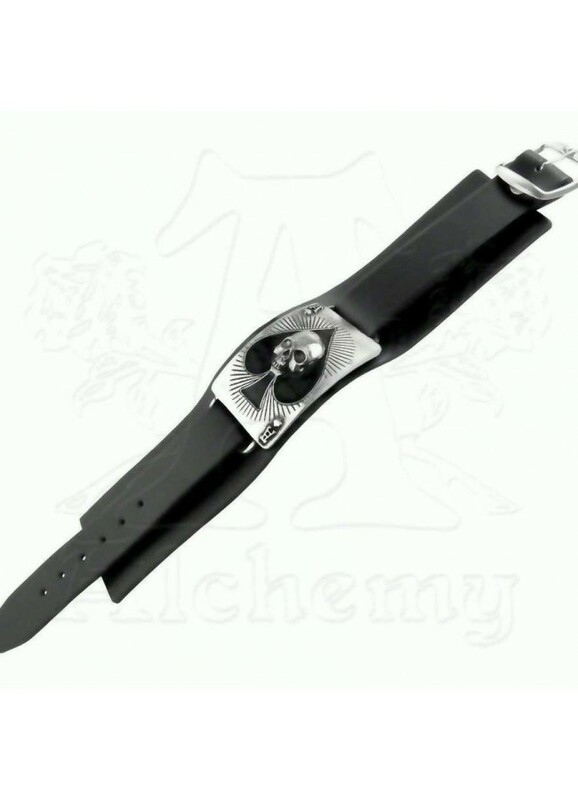 Italian leather wriststrap with pewter and black-enamelled 'Ace of Spades' plate including raised sculpted Death's Head. One size fits wrists up to about 9 inches. Adjustable closure. Item Number: AG-ULA1 | Approximate Size (Inches): 8.00 wide x 1.00 deep x 8.00 high | Approximate Shipping Weight: 0.50 lbs.